ویکی ماخذ has the text of the 1911 Encyclopædia Britannica article Æthelstan. Foot, Sarah (11 April 2013). "Athelstan". 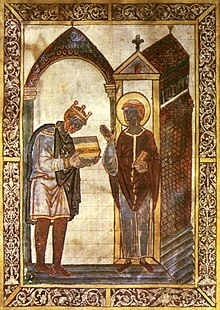 The Essay: Anglo-Saxon Portraits. BBC. Radio 3. Archived from the original on 25 دسمبر 2018. http://web.archive.org/web/20181225010352/https://www.bbc.co.uk/programmes/b01rr95w.